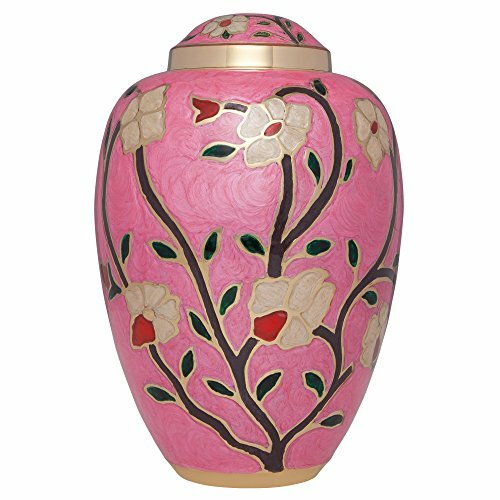 The urn is durable and easy to maintain; simply wipe the urn with a clean dry cloth. The threaded screw top securely contains the remains of your loved one, while the felt-covered bottom protects your furniture. All our urns are wrapped in a plush bag and securely packed in a box for shipment. BEAUTIFUL & DURABLE - Handmade and designed to represent your everlasting love, this cremation urn with elegant Mediterranean blue finish is solid, durable and built to last. Provides a reliable and secure seal. If you have any questions about this product by Liliane Memorials, contact us by completing and submitting the form below. If you are looking for a specif part number, please include it with your message.